This is Part 2 (On Systems). Share your own! 1. The perfection of systems is inevitably marked by the imperfections of those who serve it. ["The flight attendants of flight UA1284 felt that the innocent animal was better off crammed inside the overhead container without air and water,' he wrote on Facebook. 'They INSISTED that the puppy be locked up for three hours without any kind of airflow. They assured the safety of the family's pet so wearily, the mother agreed.' . . . The airline's policy states that all animals traveling inside the cabin should be in a carrier and 'fit completely under the seat in front of the customer and remain there at all times.' . Ten-month-old French Bulldog puppy dies on a United Flight after air crew 'order its owner to put it in overhead compartment']. 2. The necessary consequence of the fragmentation of trade is a fragmentation of the means used for its finance; and for that even the state and its coinage may be ultimately unnecessary in relations between systems. 3. Some systems are at their most powerful only when they exist only as ideas. 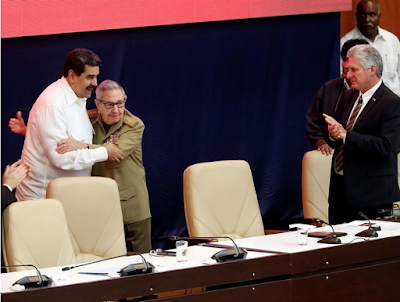 [("The members-states of the Bolivarian Alliance of the Peoples of Our America-Peoples’ Trade Treaty (ALBA-TCP) gathered in Havana, Cuba to celebrate 14 years of working to defend regional peace and consolidate Latin American and Caribbean integration.") ALBA-TCP Summit: In Defense of Latin America and the Caribbean]. 4. The distance between the judge and the law is measured by the customs and traditions of the state; the customs and traditions of the state are founded on the independence of the judge but also on the dependence of law. 5. A political community, like any other system, sometimes finds itself defined not by what they are but what they are not. 6. The idea of systems and societies are perfect; those who animate those ideas and systems are not; to confuse the perfection of one for the imperfection of the otjer never turns out well. 7. A system will minimize its error, and its agents will diminish in every way those they serve, in proportion to the extent to which it must pay for its mistakes. [("Okra busts like these are good reason for taxpayers to be skeptical about the wisdom of sending guys up in helicopters to fly around aimlessly, looking for drugs in suburban gardens. And that's not to mention the issue of whether we want a society where heavily-armed cops can burst into your property, with no grounds for suspicion beyond what somebody thought he saw from several hundred yards up in a helicopter.") Heavily armed drug cops raid retiree’s garden, seize okra plants]. 9. Systems are at their most useful when they are not corrupted by politics; politics work best for communities when restrained by systems; the welfare of a community is a function of its willingness to humanize systems through politics. [("Rather than investing the time and energy spent on reshaping ATS (and the constructions of relevant international law) to suit the times (as the legal community has sought to do for a generation), the opinion appears to suggest that this time might be better spent on getting the desired result in Congress. And that, the possibility of direct statutory authority creating extraterritorially applied liability against persons and corporations for violations of international law wherever committed, to some real extent, is a victory (and the great challenge) for those who seek to do exactly as Justice Sotomayor and the dissenting Justices argue is both right and good.") Brief Thoughts on Jesner v. Arab Bank, PLC, 584 U.S. --- (2018): The State of Judicial Remedies for Corporate Liability for Human Rights Violations]. 10. Mockery is the sincerest form of criticism, and the most damning for systems and their operators. 11. Human rights has been transformed from one centered on the character of human autonomy to one intent on building systems of assessment and duty. [(""three different aspects of the human rights project that might well be now worth a moment of thought. The first of these is the danger of a relentless focus on the rights aspects of the Universal Declaration. The second is the mania for victimization. The third is the need to re-focus on the obligations of states, other collective actors, and individuals.) On the 70th Anniversary of the Universal Declaration of Human Rights]. 12. What falls "within" and what lies "without" remains at the center of the 21st century constructions and transformations of society, injected into the discourse of all states, whatever their political orientation, but changing its central focus from state, to vanguard, to people, and back again. 13. Systems invariably function on the basis of assessment and self assessment, but its assessment markers tend to turn on themselves; quantitative markers, for example, start as proxies for quality and then become themselves the incarnation of the quality they were meant to measure. 14. 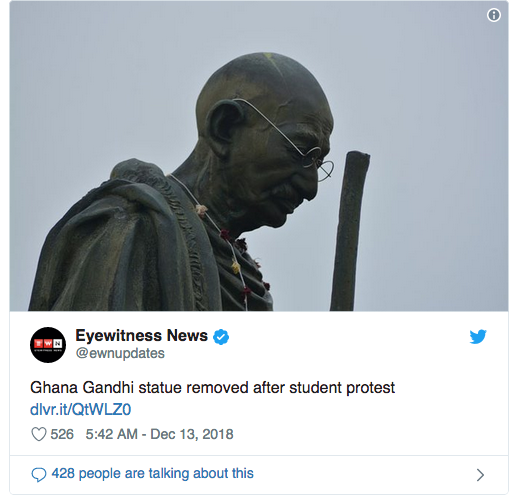 Administrative convenience remains the first principle of systems; it is the expression of the drive toward self preservation that is the first duty of any system (political, economic,religious, social, or cultural). 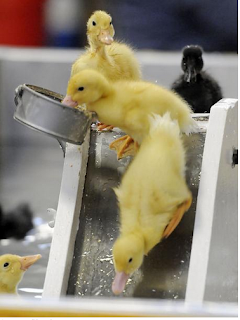 [("This year, the annual Pennsylvania Farm Show will be without one of its most popular — and cutest — features, the duck slide. The duck slide will not operate this year due to being “extremely labor intensive,” the state agriculture department told LehighValley.com.") Pa. Farm Show to go without its most adorable feature this year, report says]. 15. If the first principle of systems is self-preservation, then the principal corollary must be to channel anti-system actions so that . [("Protesters stormed an Ebola triage center in the volatile eastern region of Congo on Thursday and set fire to parts of it in a new wave of violent political unrest, aggravated by delays in a long-anticipated election.") 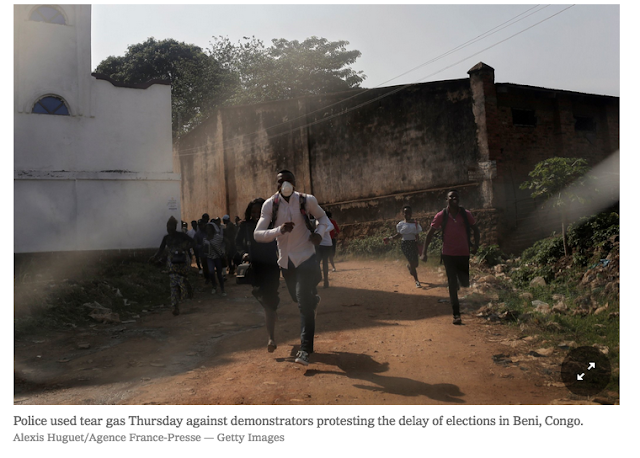 As Congo Election Nears, Rioters Storm an Ebola Center and Unrest Grows].